My police career began not long after I woke up one day and realized being locked up working a 24 hour on, 48 off shift with the Dockyard Fire Department, was not my ‘cup of tea’. The dockyard was light years removed from the few years spent with the US Air Force at CFB Cold Lake where my emergency services career began as a Crash Rescue Fireman. When the USAF Base closed, I ended up in Victoria working at Dockyard for less than a year before a school friend and fellow fireman, Morris Hill and I, decided to make the break. Morris’s brother, an RCMP officer in Nanaimo, suggested police work would be an interesting alternative. The die was cast. After dropping applications at all the local departments, I was soon grabbed by the Oak Bay PD and Morris, by Esquimalt PD. It seems the Chief Constables of those departments quickly recognized our considerable potential and signed us before any of the other departments had a chance to submit a bid. While working in a small department created some limits, those limits were not nearly as great as some might think. Not only was the job interesting, it provided a great deal of freedom to act with personal initiative, an initiative that sometimes required bending a few rules. In that regard, however, I could not be held fully accountable as it was part of a genetic string I inherited from my father. As ongoing education in police circles was gaining momentum and recognized as a good investment, I sought and received, considerable support first, in completing an Associate of Arts Diploma at Camosun College and then, a Bachelor of Science Degree at the University of Victoria. It was a wonderful educational run for which I am grateful for the support. 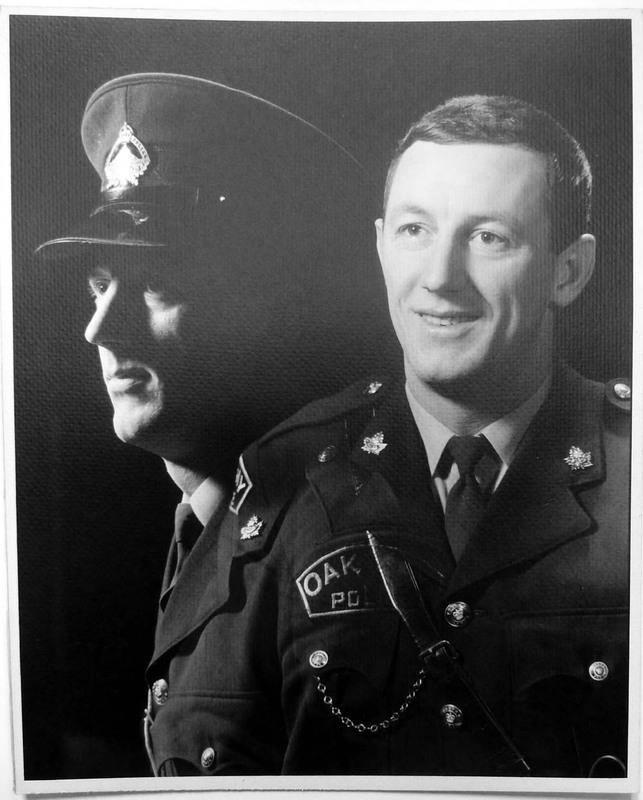 Photo (1966) The author a short time after graduating from the Vancouver Police Academy. It was my intention to continue studies at the new UVic Law School, but over the years of policing, I slowly came to realize I much preferred the perquisites that came with a set of police car keys, a badge in my pocket and the freedom to float about the community largely at my leisure. Also, after having become friends with a number of prosecutors, it was hard to discern the benefits of making a jump into a profession that was overworked, underpaid and underappreciated. Had I moved in that direction, it would not have been long before I took a stab at forming a Prosecutors Union1, as union work was something in which I had been heavily involved for many years. From the 1960s to the early 1980s, following in the footsteps of one of Greater Victoria’s finest union leaders, Oak Bay’s Sergeant Jack Groves, I continued the fight for better wages and working conditions while serving first as Union Secretary under Jack, then President of the Oak Bay Police Union, as well as working with other police and fire unions in Greater Victoria and as a trustee with the BC Federation of Police Officers. There were many tough battles; a couple of strikes (called ‘work to rule’), as well as a prolonged confrontation with the Ottawa, based Anti-Inflation Board (we beat them back). In the end, were able to bring police working conditions and wages in British Columbia in line with other forces across Canada and, finally, to a level that provided a reasonable standard of living. In view of having put in all that time, it seemed foolish to toss away those gains just for the prestige of an LLB and pushing paper in a small, underfunded and under-appreciated office. While promotions were slow in coming, I snail-paced my way through the ranks serving as Constable, Senior-Constable, Detective-Constable, Sergeant and Detective-Sergeant where my career stalled for reasons that will be evident in many of the stories posted on this blog. Perhaps a few of the reasons have already become evident in some of the posts! Photo: As a newly minted Sergeant and returning to the Oak Bay after several months serving with a joint-forces surveillance unit, the Chief Constable gently suggested I consider buying a suit, clipping my locks and at least trimming my beard before taking up duties in the Detective Office. Strangely, my wife and family also thought it was a great idea! During the central point of my career, and after constantly advocating an update of our police records system, written policies, procedures and job descriptions, the Chief finally gave me the go-ahead. I suspect this was done simply to get me off his back. Assigned to straight days, over the next a year and a half I managed to ruffle more than a few feathers as job descriptions were written and posted, reporting systems and statistical procedures modernized, and a policy and procedure manual written and published. 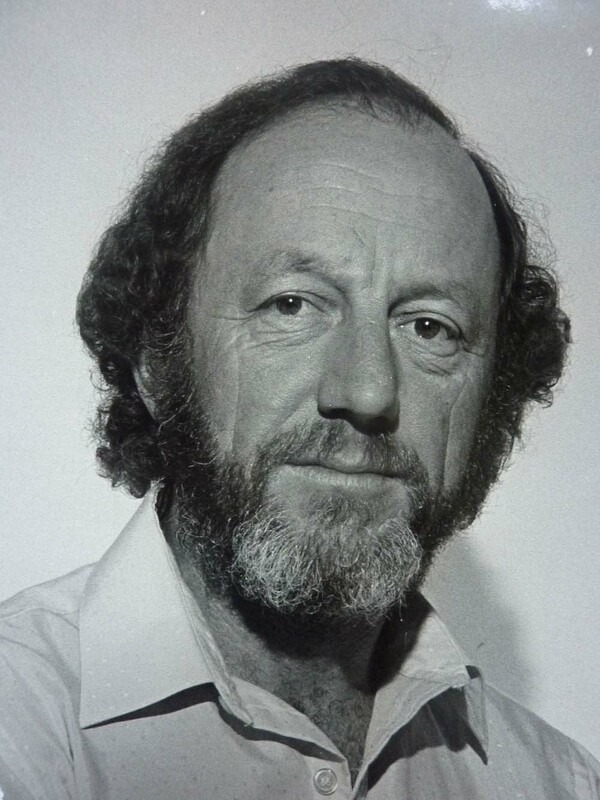 By the late 1970s, the outcome not only placed Oak Bay (along with Saanich) as local leaders in records management and statistical reporting systems, it earned me the nickname “Memo Man”, a name which stuck for the rest of my police career and into my volunteer work. In my spare time, I completed my Commercial Pilots Licence at the Victoria Flying Club, then, along with three other police members, including my longtime friend Morris Hill and two of our RCMP curling friends, Neil Dickson and Dave Wilson, managed to win a National Curling championship in Calgary. Getting married, starting my first family, building a home and hobby farm in Saanich, filled a bit of the leftover time. In 1984, the second time around, I met and married a wonderful woman, Lynn Davis. At the time of our marriage, Lynn happened to be Executive Secretary to the Chief Constable. As I was President of the Police Union, our plans to marry resulted in another very interesting ‘heart-to-heart’ with the Chief Constable and a career change for Lynn. After becoming the step-father of a twelve-year-old, at forty-seven, Lynn and I received a call on April 1, 1987, from Dr. Mary Wynne Ashford, telling us to sit down as she had some interesting news. No, it was no April Fools joke! 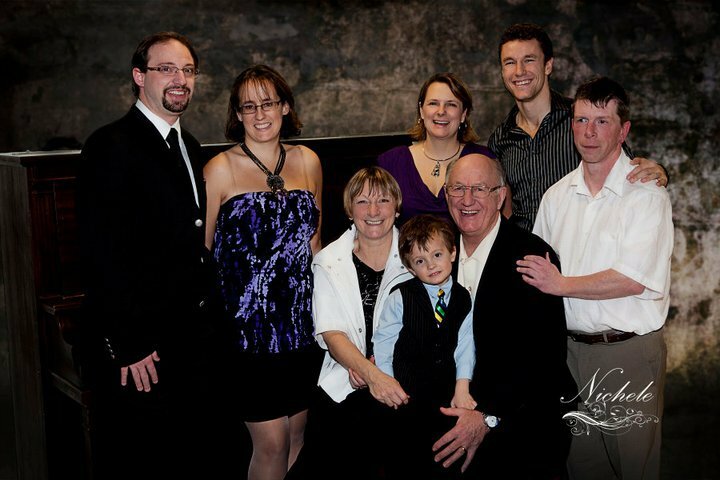 Seven months later, on November 5, 1987, Lynn and I became the proud parents of a bouncing baby boy, Sean David McNeill. Life certainly takes many interesting turns. While there is little upon which I would look back with anything approaching regret, there is perhaps (well, just perhaps), one thing. I think I should have shown a little more compassion for the half-dozen Police Chiefs and as many Sergeants who had the extreme good fortune of having me work under their command. I salute their fortitude. I hope readers will find a few of the stories being released from those secret files held behind “The Tweed Curtain”, of some interest. 1. 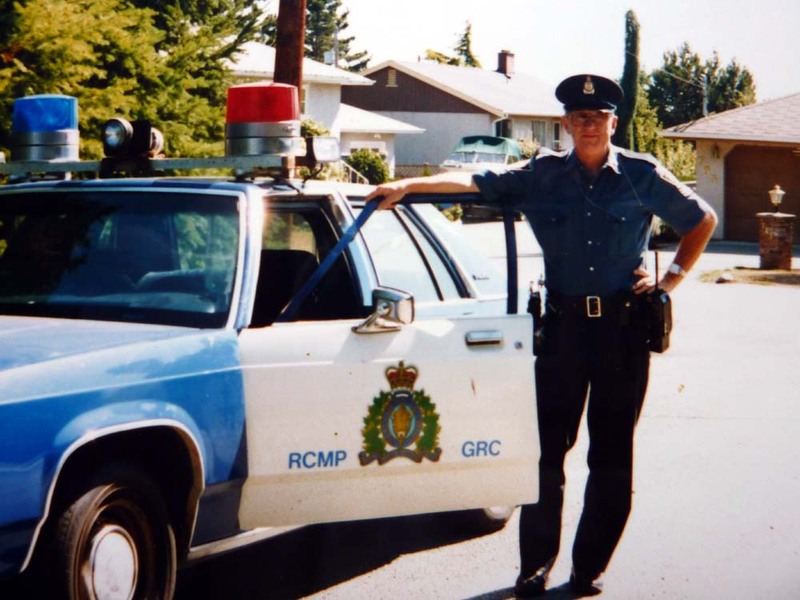 I felt the same about the rank and file RCMP officers who, since the force became heavily involved in Municipal and City policing in the 1950s, desperately needed a union to drag their working conditions and management structures into the 20th Century. Had that happened back in the 1970s when a number of RCMP members had made a valiant attempt, it seems likely many of the problems faced by the force today would have been averted.